Noreena Jasper is SO beautiful! It has vivid patterns in red & yellow, and I love it! 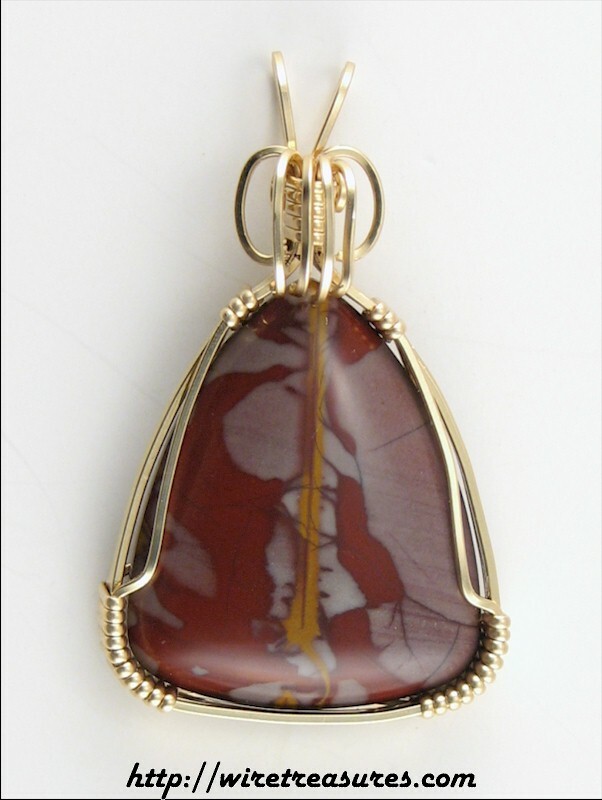 This freeform cabochon has a red and purple background with a ramrod-straight yellow blast straight through the middle! Different! Steve at Bitter Brook Cabochons cut this cabochon for me; I wrapped it in 14K Gold Filled wire just for you! This pendant is 2" high and 1" wide. You are visitor number 6,562 to this page.